The Royal Belum State Park (RBSP) was gazetted as a protected area on 3 May 2007 under the Perak State Parks Corporation Enactment 2001. 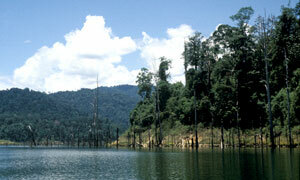 It is managed by the Perak State Parks Corporation. The park encompasses a total area of 117,500ha in the most northerly region of the State of Perak in northern Peninsular Malaysia. 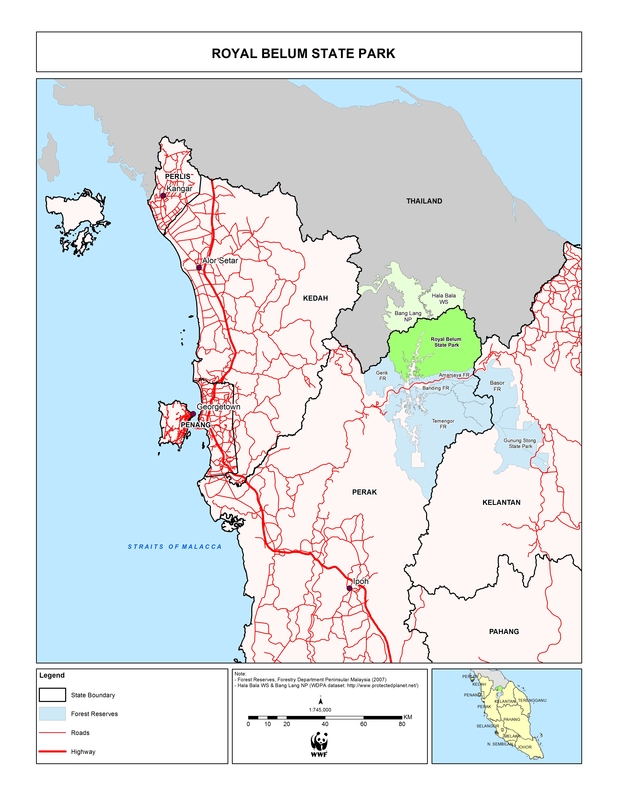 RBSP is bordered by Thailand on the north, the state of Kelantan to the east, and Sungai Gadong in the west. The East-West Highway runs along its southern border, bisecting the forest complex and separating the park area from Temengor Forest Reserve to the south. It is contiguous with Thailand’s Bang Lang National Park in Yala Province to the north, and the Hala-Bala Wildlife Sanctuary in Narathiwat Province, to the north-east. The landscape of RBSP consists of forest, small areas of grassland, and abandoned agricultural plots, as well as a large man-made lake, Tasik Temengor. The forests types found in the area are mainly lowland dipterocarp, hill dipterocarp and upper dipterocarp forests extending from 260m asl (above sea level) to 1,533m asl. The majority of the species are characteristic of the tropical rainforest that occur in Peninsular Malaysia, Sumatra and Borneo while a minority of the species is more typical of the seasonal tropical forests of the Thai and Burmese region. The area is also notable for harbouring high concentrations of at least three different rafflesia species, all 10 hornbill species found in Malaysia including large flocks of the plain-pouched hornbill (Aceros subruficollis) and an important habitat for large mammals like the seladang (Bos gaurus), Asian elephant (Elephas maximus) and Malayan tiger (Panthera tigris jacksoni). The only human inhabitants within RBSP now are the indigenous Orang Asli, mostly of the Jahai group. In addition to the local communities in the park, there are also other communities living close to RBSP, which includes the Orang Asli (majority Temiar) settlement at Pos Chiong along Sungai Sara and other Orang Asli (Temiar/Jahai) villages in Temengor under the collective administration of RPS Banun as well as Malay villages in the area. Poaching, harvesting and over-collection are among the major issues for RBSP, particularly as the East-West Highway along its southern border provides many access points that facilitate illegal entry, with poachers and encroachers consisting of both locals and foreigners. Aside from that, unsustainable harvesting of other natural resources (including unregulated fishing), poorly regulated tourism and human-wildlife conflict are among the issues that threatens RBSP. 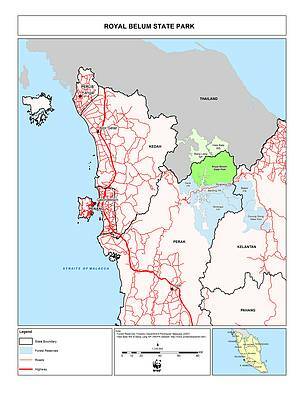 The State Government‘s efforts to gazette, plan and manage RBSP is supported by WWF-Malaysia through the previous phases of the Peninsular Malaysia Protected Areas project (Strengthening the Protected Areas System of Peninsular Malaysia) and continues with the current phase of the project. A preliminary management plan for RBSP was completed in 2011 which provides a framework for an effective management system for the park. Current efforts include facilitating training and capacity-building sessions; conducting management effectiveness assessments; providing support in the implementation of the management plan and the recommendations of management effectiveness assessments; advocating for compatible land use within the buffer areas of the RBSP; and increasing awareness about the conservation and nature tourism values of RBSP. As current activities for RBSP fall under the broad-based strategy of improving management effectiveness of existing protected areas, they are now incorporated in the management effectiveness module (see Management Effectiveness).